Stainless-steel water bottles offer a sleek-looking reusable water bottle that is built to stand the test of time. These bottles are just one of the many ways organizations can put their commitment to becoming environmentally sustainable on display. 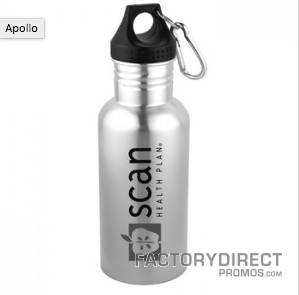 Keep your customers hydrated with an eco-friendly option and allow your brands message to be spread organically. People are making sure they stay hydrated whether at the gym or at work or just out running errands, and single-use plastic bottles are losing out to trendy reusable bottles. Customized water bottles with your logo and a branding statement can go a long way if you get them into your customer’s hands. They will take your branded bottles with them and help increase your brand awareness and recognition. It just makes sense. 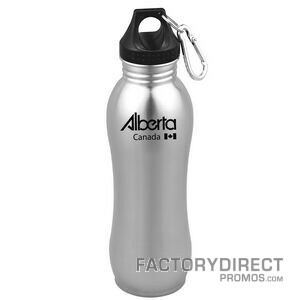 Explore our collection of stainless-steel water bottles below; all sold at a wholesale price and customizable to your need.